Vista Pro, was the world leader in aftermarket Radiators and Heater Cores with patented technology to keep them at the front of the industry. With their innovative designs and commitment to world class quality standards, ECS selected Vista-Pro as a supplier partner in 2011 and began working on several OE programs. 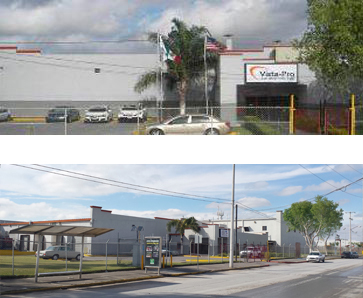 ECS and Vista-Pro were in production with these programs in late 2014 when ECS acquired the assets of Vista-Pro and the Nuevo Laredo manufacturing facility. The Nuevo Laredo facility continues to produce Oil Coolers, Radiators, and Heater Cores for OE and Aftermarket customers. ECS will continue to be the innovation and quality leader in the market. With our vast range of current and past model automotive applications we are able to provide bulk ordered Radiator and Heater Cores to our Aftermarket Wholesale Customers.